The Calling, consisting of Alex Band and Aaron Komin, broke on to the scene in 2001 with their hit single, "Wherever You Will Go." That song, which had constant radio airplay that year, went on to later be named the #1 Adult Pop Song of the Decade by Billboard magazine. The album from which it was taken, "Camino Palmero," was certified Gold in the US and sold over 5 million copies worldwide. The bands next effort, "Two," was less successful commercially. Band member Aaron Komin decided to break away and do his own thing while Alex toured the record and because of this, the band went on an ´indefinite hiatus´ in 2005. With their friendship, and band, a thing of the past, Alex decided to go solo. 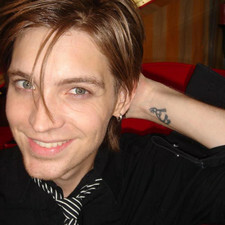 He released the five-song "Alex Band EP" in 2008 on his website and finished his full length debut, "We´ve All Been Here" late in that year. After many delays, the record is set to see the light of day. Let me be the first to say that fans of The Calling will feel very at home. With that being said, it´s also a safe bet that fans of soft, alternative, adult rock, will also discover a new gem if they have never heard of the band. The first single from the album, "Tonight," is the summer anthem that begs for radio play. It´s the type of song that you don´t mind being overplayed on the radio because every time you hear it a big grin hits your face, begging you to sing along. Alex sings, "Tonight, I got you where I want you/Close so I can tell you anything/You´re the song that I sing./Tonight, let the music take us over/We´ll fall in to forever on this ride/Cuz I´ve got you where I want you/Tonight." The song is every bit as catchy as "Wherever You Will Go" and more mature in sound and musical style. If it doesn´t receive substantial airplay then there is something wrong with the suits who run the radio stations. What´s interesting about this album is that Alex isn´t afraid to experiement. On the album´s last track, "Without You," we hear a few bars worth of a bagpipe at the beginning. It´s subtle, and not overly in your face, but it fits the mood of the track nicely. The chorus swoons and builds to something that I would compare to The Callings "Our Lives". Back in 2008, Alex released a demo of a song called "Please" on his Myspace page. I was lucky enough to hear the demo of that song and all I can say is the mastered version blows it out of the water. The song begs the listener to pay attention to the words and how it´s the little things that matter in love, life and every thing in between. The highlight of the record in my opinion is the simple, yet breathtaking track, "Euphoria." This song is pure joy. There simply isn´t any other way to describe it. Alex sings, "You gotta give love to get love." I´ve never heard a more truthful sentiment. With all the great things about this album, and let me say it, there are a lot of great things about this album, there are, like with The Calling albums, a few duds. Skippable tracks, used for filler in my opinion, include the title track, "We´ve All Been There", "Never Let You Go" and "What Is Love." With those few throwaway tracks aside, this record will prove to be the soundtrack to your summer. My pick for Album of the year so far. The Calling suffered from a lot of filler songs, especially on their second album, but this album is incredible from beginning to end. There's not a song that I would skip and every song sounds like it has been crafted with carefulness and passion. It may sound a little like other songs in the genre, but Alex's voice and lyrics make each song unique. "We've All Been There!" 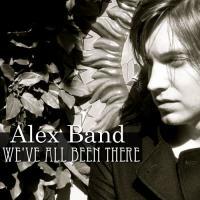 (US Release) By Gino DeLucia "We've All Been There" Alex Band Alex Band/AMB Music Label Could be 2010's best.. Awesome CD! The former lead singer/songwriter of "The Calling," Alex Band, is finally back in the limelight on the music scene, and WOW~ trust me when I tell you: his unmistakable great voice, and his new songs are even better than ever! 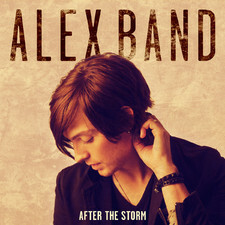 (Alex is best-known for his 2001 Meg-hit song, "Wherever You Will Go," which just recently, was named as the Number 1 Song of the Decade on Billboard Magazine's Adult Pop Chart,) Coming at a time when the current hurting Music Industry is in dire need of some help, Alex Band's new 14-song CD is an extremely potent shot-in-the-arm of much-needed Music Adrenaline! Band's refreshing sounding new music is "just what the Music Doctor has ordered;" the perfect remedy to help the Music Business to get back on its feet. In addition to that, there's great news here for consumers too: "We've All Been There" is a music lover's dream-come-true CD! This disc is fully loaded with excellent music and it's reasonably priced too, so for a change~ buyers get more than they pay for! Moreover, every single song is great as there isn't even one "Junk Song" on it. Yes, that's right~ you're not imagining this, and this is not a misprint either. This is really true: There are no boring filler songs on this disc! The fact that it's taken Alex 5 years of hard work & stress in order to produce this CD, makes it quite obvious that he doesn't believe in putting out "Crap" just to take up space so that the product can be rushed & quickly marketed in order to make fast money. Band is a true artist; one that cares about his reputation. He has deep respect for music, and most importantly, he's someone who truly respects his fans and himself! The songs on this CD are so moving & inspirational, that even an android or a character like Startrack's "emotionless" Spock would have to see their beauty and be touched by them! As far as I'm concerned, "We've All Been There" certainly has the potential to enjoy the same kind of success that Fleetwood Mac's "Rumors" album had way back in the late 70's. History shows us that after its release during 1977, "Rumors" went on to hold the #1 spot on Billboard's top 200 chart for 31 consecutive weeks. Most Music Critics of that era attributed the album's great success mainly due to the fact that it produced one hit single after another, (4 of them to be exact), and back then, no one foresaw anything like that happening. Be that as it may, here in 2010, a person does not have to be a Psychic or need to have a Crystal Ball in order to foresee the possibility of 4 or more hit singles coming from "We've All Been There." The first single from the disc, "Tonight," is already doing well; it's in the top 30's on US Adult Radio and well on its way to becoming a hit. There are at least 5 other songs from the CD that also have a way better-than-average shot at becoming chart-toppers too! 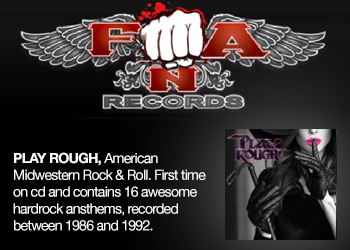 Songs such as "Without You", "Will Not Back Down", "Never Let You Go", "Euphoria", and "Only One," certainly all are excellent hit-single candidates because they are all good, great sounding, well-written & well-performed songs. These easily memorable songs will definitely have listeners finding themselves walking around humming their pleasingly haunting, strong, unforgettable hooks after hearing them, and speaking from experience; I can certainly attest to that! Known for his heart-felt, soul-searching lyrics, it's very obvious that Alex is wearing his own heart and soul on his sleeve via this great CD because lyrics from its songs display tons of things pertaining to his private life. Songs such as "Leave", "Without You", & "Forever Yours" give an inside look at his love life, while songs such as "Please", "Love", and "What Is Love", certainly seem to explore his personal relationship with God. "We've All Been There", "Holding On" and "Start Over Again" obviously reaffirms his faith of being able to overcome all the obstacles that the Recording Industry has thrown at him; which it certainly has. 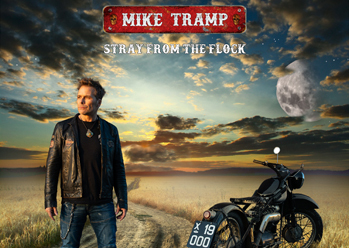 Getting this incredible 5-years-in-the-making, long-overdue CD out has not been an easy task for Band because his music career had been in limbo; held hostage by Major Record Labels due to contractual agreements that the artist made 14 years ago, back when he was just 15 and didn't know any better! In addition to that, the direction that the big labels wanted him to go in musically, was ridiculous as far as Band was concerned; certainly not in his best interests, nor what he wanted. Therefore, in order for him to take back control of his own life and his music career, he had to spend several hundred thousand dollars of his own money to buy back the rights to his own music just so that he could release it to the public and perform it live. After the buyout was completed, Alex formed his own Record Label, AMB Music. 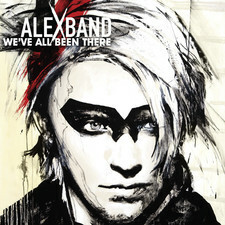 Officially released on AMB Records in the United States on June 29th, 2010, "We've All Been There" is now available for purchase on iTunes, Amazon.com, Target, Best Buy, Borders, and at music stores all throughout the United States. 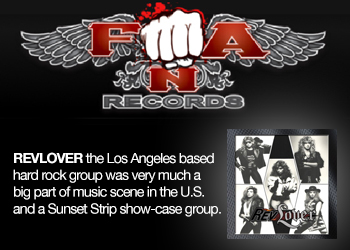 Note: For now, The CD has only been released in the United States, but according to Band, it will be released world-wide sometime during September, 2010 on the EMI Record Label. 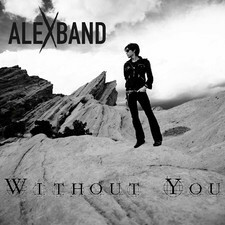 However~ The disc can be purchased anytime from everywhere throughout the world by visiting Alex's web site: www.alexband.net. This CD is a "Must" for all music lovers, so do yourself a favor: Don't miss out on it! 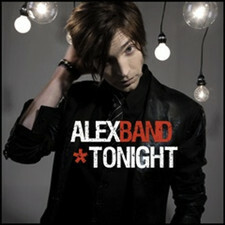 "We've All Been There" by Alex Band ~ Request it on the radio and Buy it now! Music: Buy it, don't steal it~ You wouldn't like it if your favorite recording artists stole your hard-earned-pay, so respect them and don't you steal theirs!